The natural choice for dips. Natural ingredients. Oven baked. High in fibre. No artificial colours, flavours or preservatives.These sourdough crispbread bites are inspired by our love of Swedish baking and are full of simple, natural ingredients including organic flour, organic fresh milk and pure, hand-harvested organic sea salt from Halen Môn PDO. 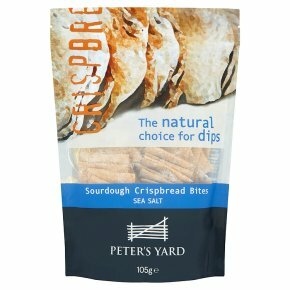 Baked until golden and crisp they are the natural choice for dips.